Spring Clean-Up Part One: Pruning Damaged Limbs in Tight Spaces Using The Handy, Folding ‘Grecian’ Saw, Plus… A Special Giveaway! I love all trees, but I have to admit that in particular, I am a very, very fond of Japanese maples. And in spite of the fact that they can be difficult to grow in cold climates, every year I add a new, hardy specimen to my garden. 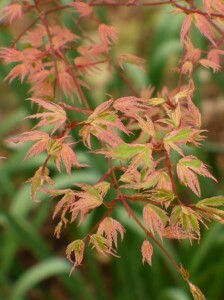 The first Japanese maple I planted when I bought my land ten years ago was Acer palmatum ‘Bloodgood’. 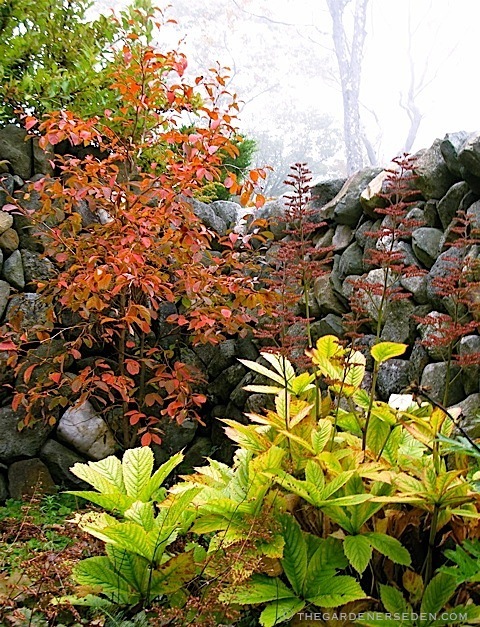 A lovely tree with dark, oxblood colored leaves and fine structural form, ‘Bloodgood’ is a commonly grown Japanee maple cultivar in the northeast; mainly due to its hardiness. 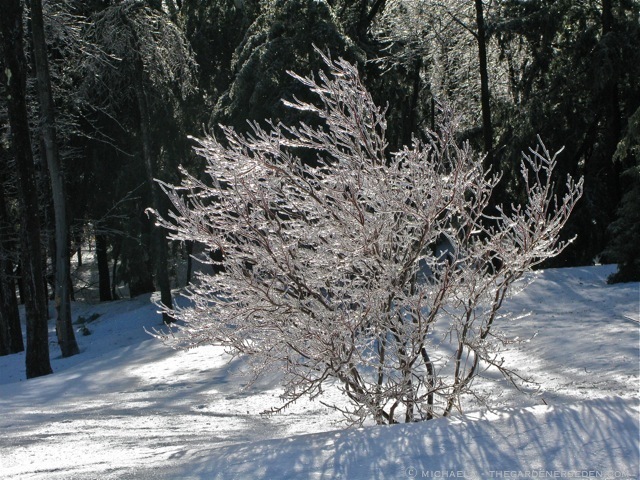 But in spite of this tree’s tolerance for cold, one of the biggest challenges to growing Japanese maples in the northern climates —breakage due to heavy snow and ice accumulation— remains a problem with this and many other ornamental trees with complex branch angles and patterns. 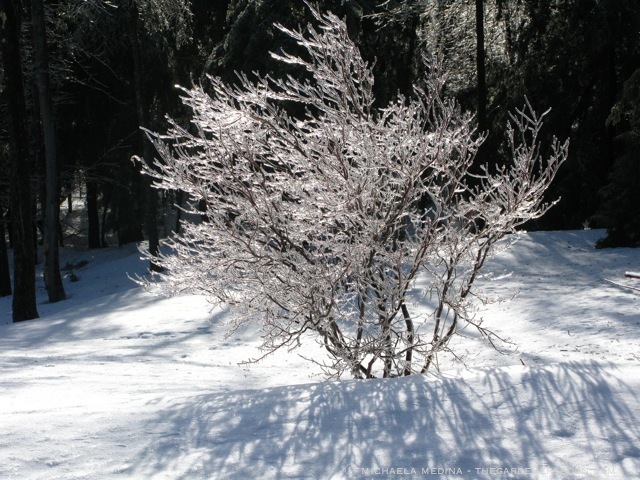 Preliminary pruning and training helps to set up a strong framework for ornamental trees —to withstand winter’s weighty precipitation— but some breakage is inevitable during ice storms with heavy accumulation. 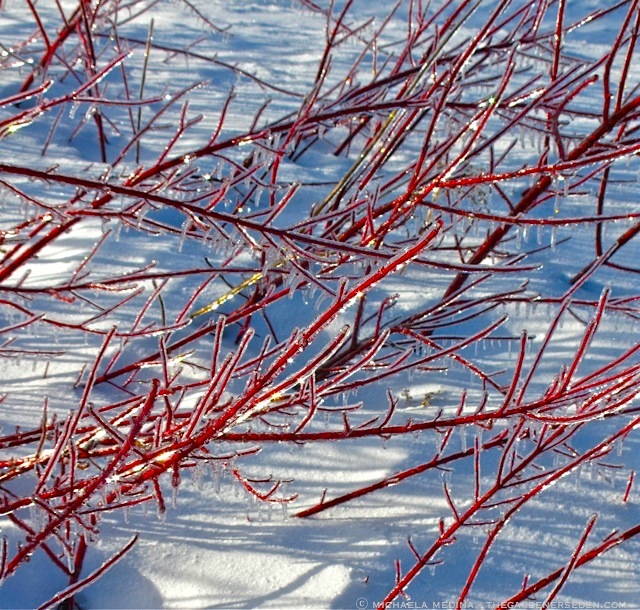 Perhaps you’ll recall this image, of the Acer palmatum ‘Bloodgood’ in my garden, taken during the last of many ice storms in late winter of this year. Fortunately, only one branch cracked beneath the weight of the ice, and it was one I’d considered removing late last summer anyway. 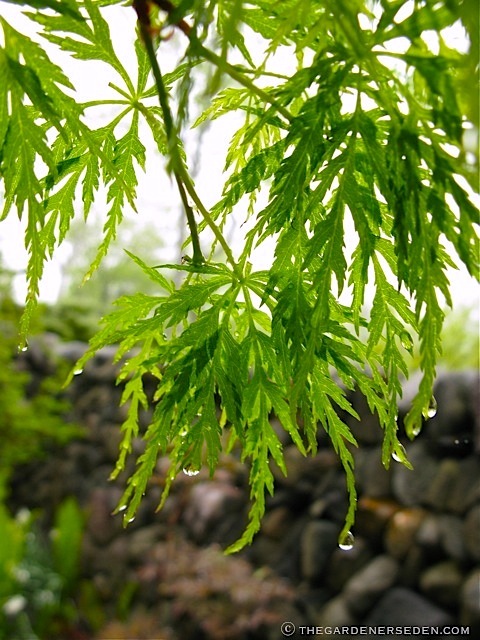 When damage does occur on a Japanese maple, and on many other trees, one of the toughest maintenance tasks is pruning out broken limbs without damaging the bark and healthy wood on the nearby trunk and branches. Making cuts in tight spaces (like the one pictured below) can be difficult unless you have the right tool on hand. Hand-held bypass pruners (like those shown in the last post) are fine for branches and limbs up to 1/2″ in diameter. But when the limb is thicker, it’s best to switch to a pruning saw. When I need to cut a moderately sized limb —several inches thick— particularly in tight and awkward spaces, I reach for my handy folding saw. Sometimes this pruning tool is referred to as a Grecian or Japanese-blade pruning saw. This type of saw has teeth —arranged in an arc on the inside of a blade— and folds up neatly into a compact size (see photos below). Designed to cut on the pull-stroke, these saws makes quick, clean work of tree limb removal. This limb is too large to cut with bypass pruners, and the angle is too tight for my bow saw. So, the tool of choice? The handy folding saw! 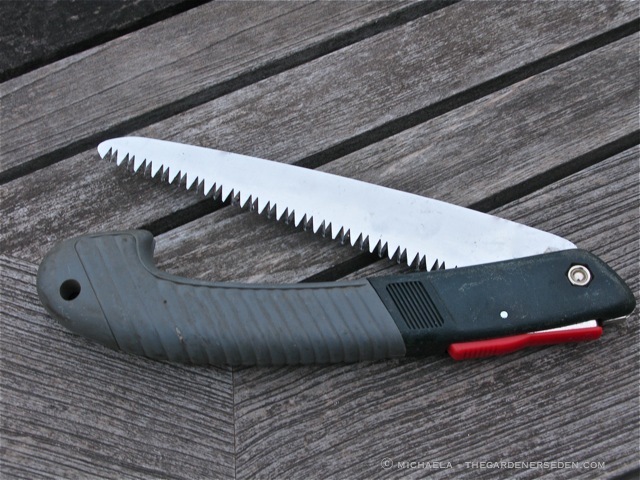 This type of saw is sometimes called a ‘Grecian’ saw, or a ‘Japanese blade’ pruning saw. Sometimes —when a branch is split or badly mangled by a storm, weak or crossing and rubbing a near-by branch— it’s necessary to completely remove the tree limb. 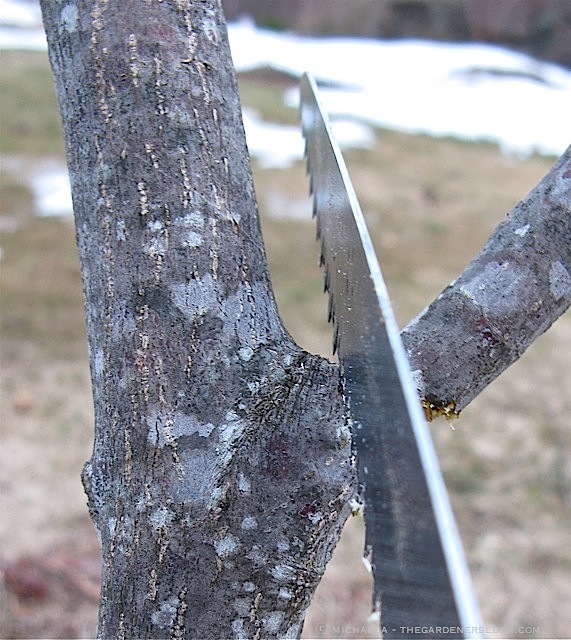 Knowing how to properly make this type of pruning cut is very important to the long term health of trees in your garden. 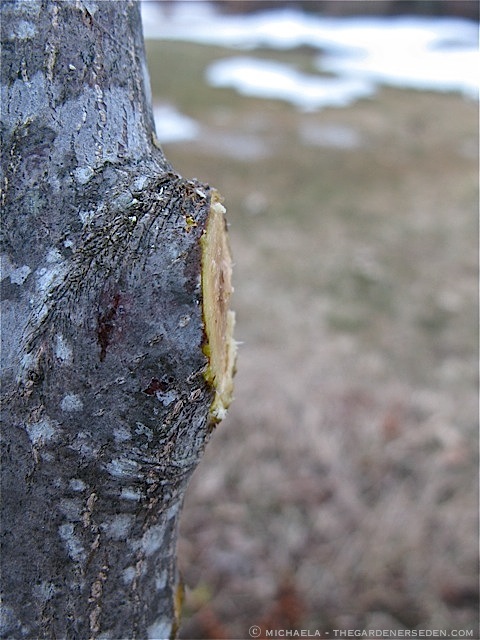 Cut too far from the trunk and you are left with an ugly stub, which invites disease and further breakage. Cut too close to the main trunk, damaging the branch collar, and you risk exposing the entire tree to disease and opportunistic parasites. But, fear not. This cut isn’t difficult to make when you take your time, follow a patient process and use the right tool. To remove the damaged limb on my Japanese maple, first, I made a preliminary cut on the branch, removing the weight and leaving a long stub. Next, I undercut the remaining limb with a short 1/4″ deep cut. This will prevent cracking and tearing of the limb when I make my final cut from the top. Carefully observe where the ridge meets with the main trunk, and look for the wrinkly collar’s edge. Just beyond this spot is where the limb should be cleanly and neatly cut. Find your line and cleanly cut through as shown. Any ragged edges should be cleaned up with a sharp pruning knife. 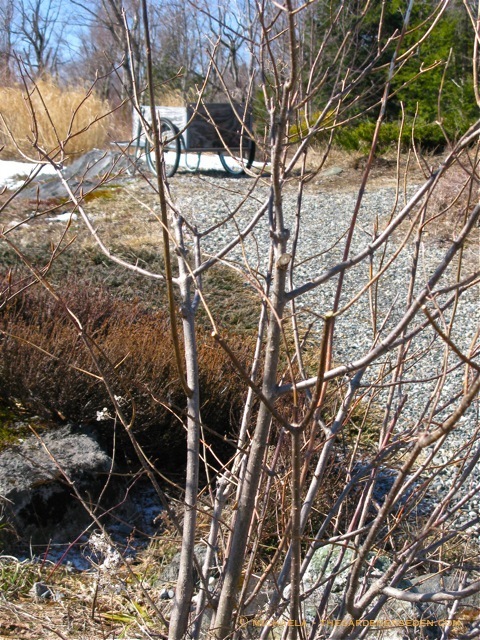 Soon the open area on the Japanese maple trunk will grey up, callus over and blend right in with the rest of the tree. 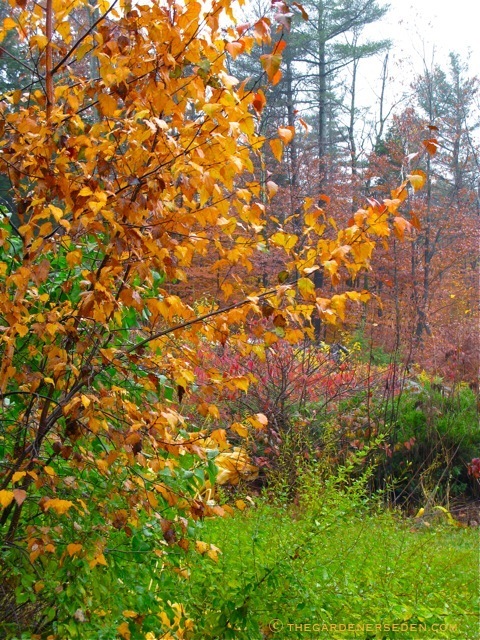 At this time of year in cold climates, a Japanese maple (And other maple trees, and sap running species like birch) will weep when cut. This will not harm the tree. This wounded tree was weeping sap from the jagged break anyway. However, I do try to limit my cuts on trees with actively running sap at this time of year. I only remove what I absolutely need to, in order to prevent disease and speed up the ‘healing’ process. When removing a long limb, particularly a heavy one, I begin by taking off some of the weight and making room to work with an initial cut farther out on the branch. Reducing the weight also decreases the likelihood of tears in my final cut near the branch collar. Next, I make an undercut on the branch. This cut will be approximately 1/4 through the branch. This is another insurance cut; preventing a crack in the wood or tear in the bark when I remove the stub branch from the top. This photo is little bigger, because I want you to really see the wrinkly edge of the branch collar. Do you see the ridge just to the left of the blade, where where the main trunk meets the limb and the wrinkly ‘collar’ just past that? Well, it’s important to get nice and close to that wrinkly collar with a clean, flush cut. But, it’s equally important NOT to saw into the branch collar. The cleaner and straighter the cut, the faster and easier it will be for the cells to quickly cover the open wound and for the callus to protect the tree from insects and disease. Cut clean and close, this wood will quickly callus over and soon blend in with the surrounding trunk. Sometimes, a limb will break right at that collar margin. 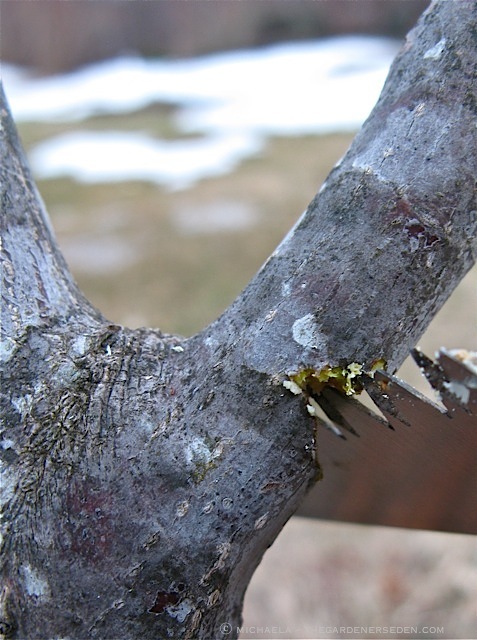 If the tree injury is located in this area, carefully cut as straight a line as possible, and clean up any ragged edges of wood with a pruning knife. The more even the wood, the less area will need to be covered by new cells, and the faster the tree will callus. 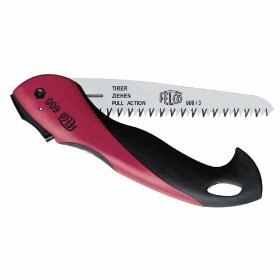 Felco’s Folding Saw is the right tool for pruning branches and limbs up to 3″ in diameter, particularly in tight places. You can order one from Amazon.com by clicking on the image or text link here. Or…. The winner will be chosen at random from comments received prior to noon ET 4/11/2011. One entry per household, per giveaway please. Drawing will take place and winners will be announced here, on Facebook and Twitter, on Tuesday, 4/12/2011. Saw will be shipped to the winning reader at the end of the month. Due to shipping constraints, this giveaway is open to US and Canadian readers of The Gardener’s Eden only. All taxes, tariffs, duties or fees not directly associated with shipping and handling will be the responsibility of the winner.Good luck! The Winner of the Folding Pruning Saw is: Michelle Kraetschmer! Congratulations, Michelle. I’ve been tending other people’s gardens for more than a decade, and although I am officially eliminating maintenance from my professional services this year —making more time for design work, teaching and writing— that doesn’t mean I won’t be doing physical work in gardens. Quite the contrary. I love gardening, particularly garden maintenance. The physical part of gardening is exactly what attracted me to horticulture in the first place. Gardening —digging, planting, raking, weeding, pruning, etc— is great fun for me! But as with most things, people tend to enjoy tasks that they are good at doing. 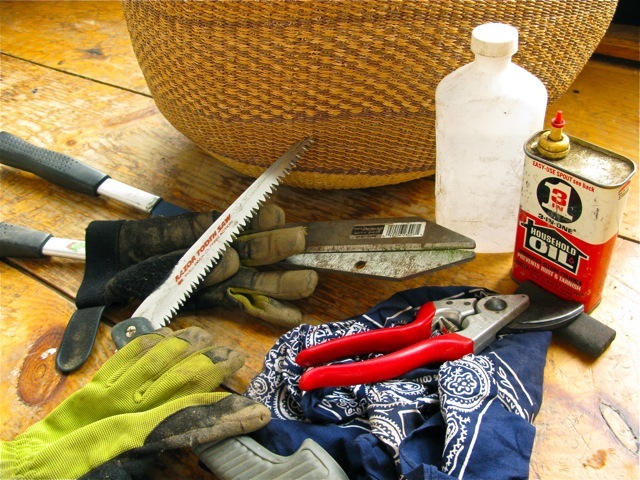 So, my new goal is to help other gardeners gain more confidence, and have more fun with maintenance, by sharing some of what I’ve learned in my years of experience as a professional gardener. 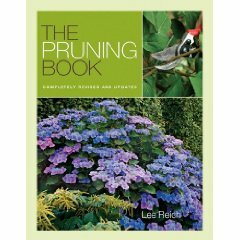 Pruning is one of those tasks that tends to intimidate both new and experienced gardeners, and even some seasoned pros. With all of the dos and don’t associated with pruning, it’s easy for me to understand why gardeners avoid this chore. 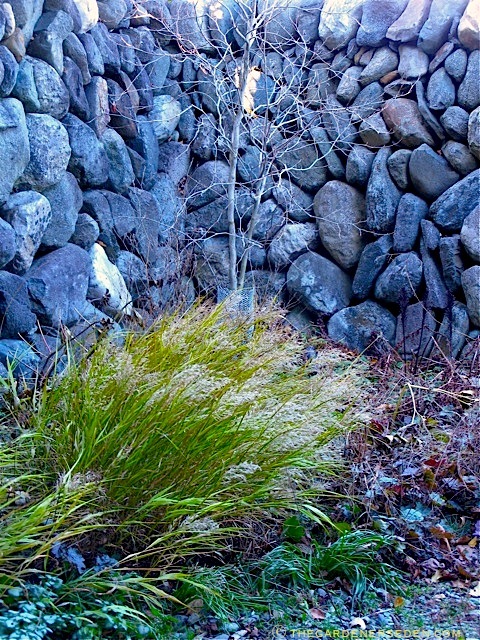 Knowing when and how to prune the trees and shrubs in your garden can be confusing. So, I’m going to start this spring’s tutorial sessions with the absolute basics. 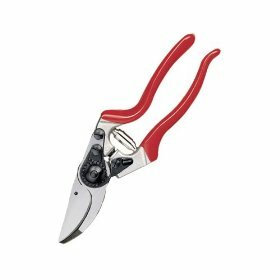 In my previous post, I mentioned the importance of using clean, sharp tools when pruning. 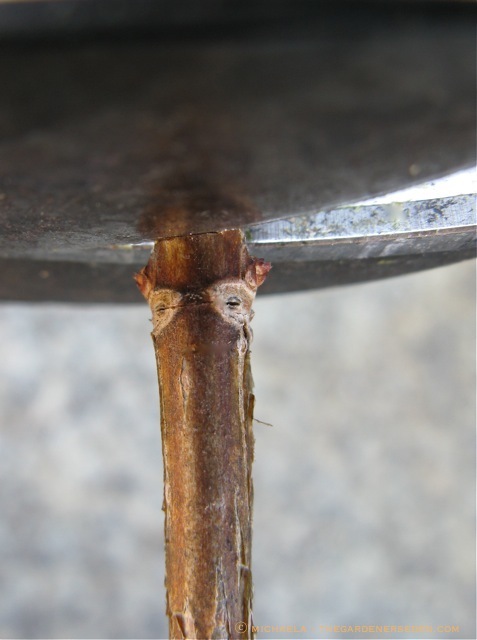 This point can not be over-stated, so if you haven’t read the first post, stop here and go back to review pruning tools and how to care for them. Cutting to a pair of opposite buds on Hydrangea paniculata. The cut is made as close as possible —leading with the sharpest part of your blade closest to the bud— without touching and damaging the buds themselves. I like to use the line on the thick blade (backside of the pruners) as a spacing guide when making this kind of cut. After the cut, only a small amount of wood remains above the two untouched buds. The two buds will develop into healthy shoots. Alternate buds look like rungs on a pole ladder. They alternate from side to side, instead of opposite one another (see photo below). 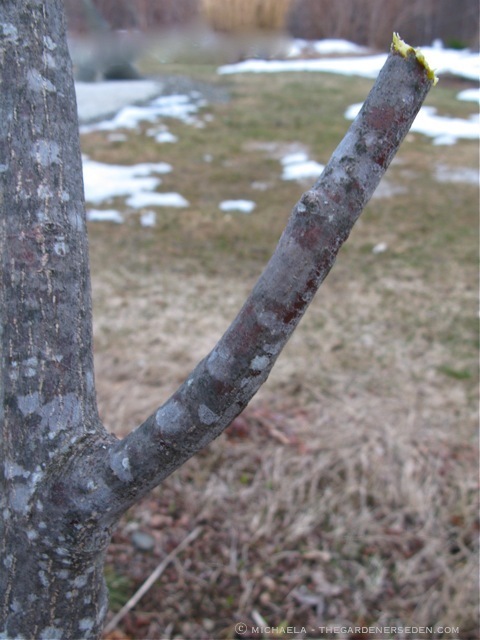 If the branch of a shrub or tree with an alternate bud pattern has been damaged, it should be cut back to an outward-facing bud on solid, healthy wood. With alternate buds, it’s also important to make the cut as close to —but not touching— the bud itself. With this type of growth pattern, gently slope the cut away from the bud, so that water will drain away from the developing shoot (aim for a 20-25° angle). Alternate buds on Buddleja alternifolia argentea (Fountain Butterfly Bush). 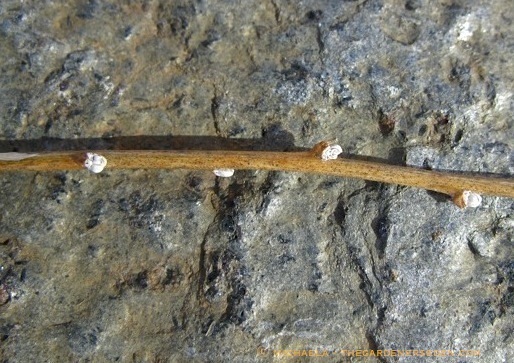 Unlike B. davidii, which flowers on new wood, B. alternifolia blossoms on old wood. 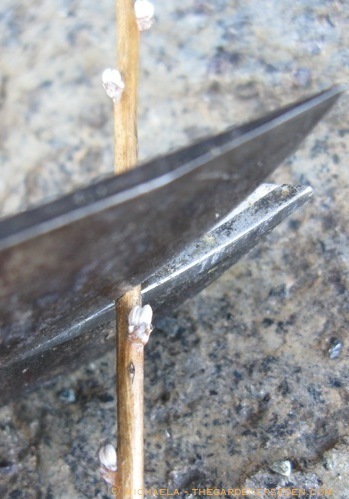 In spring, I remove damaged wood only, carefully cutting to a healthy bud. After flowering, I will prune this shrub for shape (it can be trained to a standard, or allowed to follow its natural ‘fountain’ form). Position the sharp part of the blade near the bud —but not touching— and make the cut, sloping gently away from the bud. This will help water shed away from the new shoot, preventing rot. Never leave a stub longer than 1/4″, as it will die back, and invite disease. Again, with this type of cut, I use the line on the thick part of the blade as my guide. 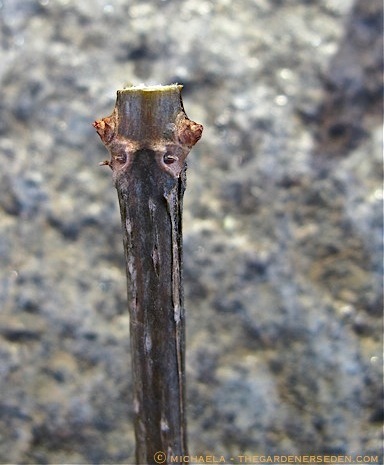 By holding the pruners with the thin blade nearest the bud, I can watch the distance and avoid cutting too close. The way this branch is cut will direct growth outward, away from the shrub. 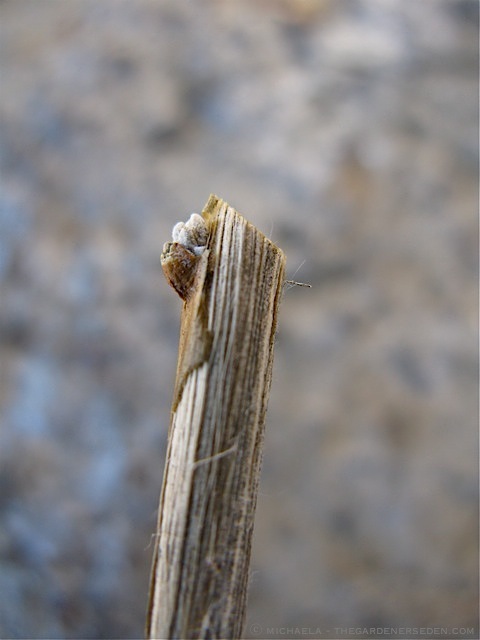 The gentle slope —starting just above the top of the bud— allows for water to shed away from the new shoot, preventing rot. Again, never allow a long stub to remain above the bud, but take care not to injure the delicate new growth when you make your cut. With practice, this will become easier. When I teach pruning, I always encourage gardeners to build confidence by practicing cuts on undesirable scrub, broken branches or discarded limbs on a brush pile. This way, if your cuts are less-than-acceptable, you can keep cutting until you get it right, without worrying about mutilating your precious garden plants! Look for alternate and opposite bud patterns to practice your cutting skills. Once you feel confident in your ability to make steady cuts, begin working on the broken branches of ornamental shrubs in your garden. Roses and hydrangea are frequently damaged and suffer die-back in winter. Learning these basic cuts will help you to maintain attractive and healthy woody plants. Stay tuned for more pruning tutorials. Next, we will tackle small tree limbs with a Grecian (folding) saw, and learn about the join between tree trunks, branch-collars and tree limbs! And if you happen to be gardening in New England, and would like to attend my April 16th pruning seminar —a free event sponsored by Walker Farm in Dummerston, Vermont— please visit Walker Farm’s website for details, and reserve your seat now… Space is limited! Several years ago, when my father had heart surgery at the VA hospital in Boston, I was away from home quite a bit during the last three months of the year. Preoccupied with my dad’s health and juggling various responsibilities during his recovery, I neglected end-of-season chores in my garden. Later on, as the first month of winter passed and my father’s condition improved, I found myself staring at a box of unplanted bulbs and a check list of unfinished tasks. Soon, spring arrived. Waves of forced bulbs —potted and chilled in late December— began to emerge from the depths of my refrigerator. Although I regretted not getting my little treasures into the ground, I was grateful for the bright color of early tulips and tiny, fragrant narcissus when the snow began to recede; exposing muddy patches of half-frozen earth. 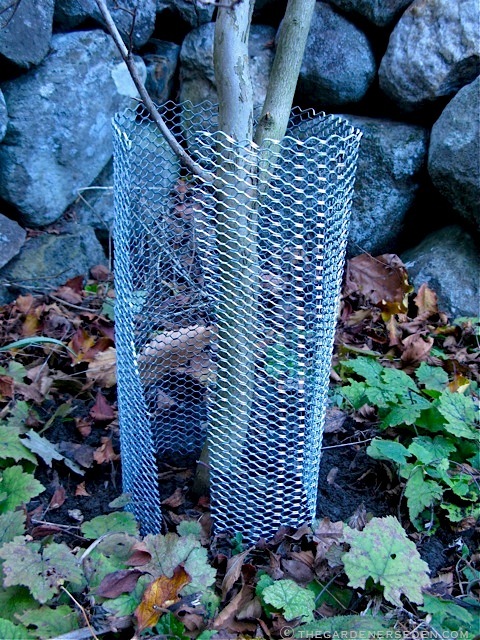 Later, as I began rummaging around my cellar in search of gardening tools, I made a grim discovery: an entire box of wire cages that never made it around the trunks of my young trees. My heart sank. 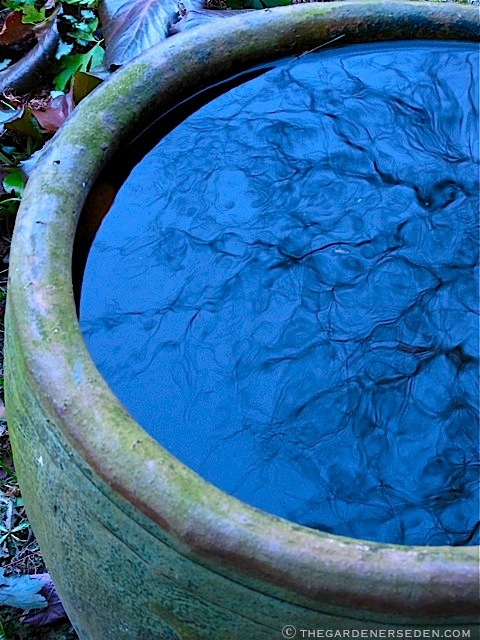 I looked out into the Secret Garden —at my still-buried Japanese maple— and I knew that I was in trouble. Immediately I raced out the front door and down the steps to my beloved Blue Green Dragon (aka ‘Seiryu’) at the Secret Garden Door. I began furiously digging at the foot of ice and snow still mounded ’round the tree trunk. My cold, raw fingers felt of the smooth bark for tell-tale signs of mouse-damage; scratches, gouges or ridges. Eventually, after clearing the entire base of the tree, I breathed an enormous sigh of relief. No rodent damage here. But then, I turned my attention to the Japanese maple inside the Secret Garden -my beautiful ‘Butterfly’. I went inside to grab a pair of gloves and shovel. Snow always drifts and piles higher inside the Secret Garden, and the shade prevents early melting. 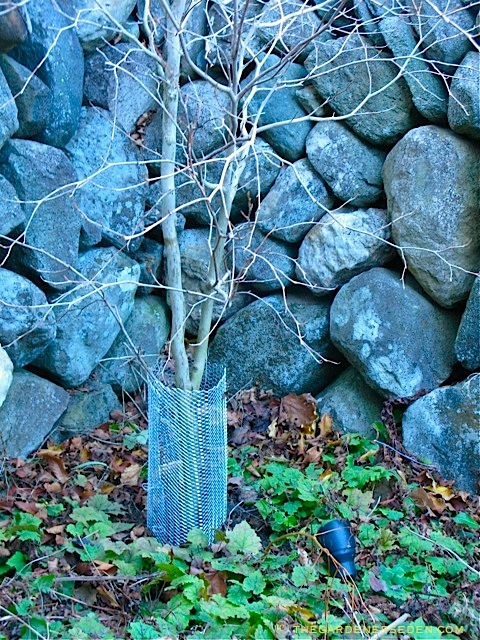 As I began digging, I quickly uncovered a cylindrical channel leading from one of the stone walls toward the tree. Drawing closer to the trunk, I could see tiny bits of bark scattered about the white tunnel. I slumped down in the snow. Still digging, as I uncovered one side of the stripped trunk, I started to cry. I knew what I would find, and I was right. The tree had been completely girdled (living bark gnawed clean off in a full circle around the trunk). If you’ve never seen this kind of rodent-damage before, my reaction may seem a bit over-dramatic. But if you’ve ever experienced the heartbreak of losing a beloved tree or shrub to winter girdling, you will understand. The rodents must have begun their chewing after the sap started to run in late February. As the weather warmed, the tree began to leaf out. What a pathetic scene. The gorgeous crimson-tipped leaves and coral-pink stems taunted me as I watched them unfurl; knowing that this would be my beautiful, young tree’s last spring. I couldn’t bear to dig it up, and I couldn’t stand to walk through the garden. Eventually, I came to accept reality, and I removed the ‘Butterfly’ from my garden. I could not find another specimen, so I changed course, dug up the earth, and planted a young Stewartia pseudocamilla in her place. She is, of course, stunning in that spot. And one day, I will create another protected nook and bring a new ‘Butterfly’ to my garden. 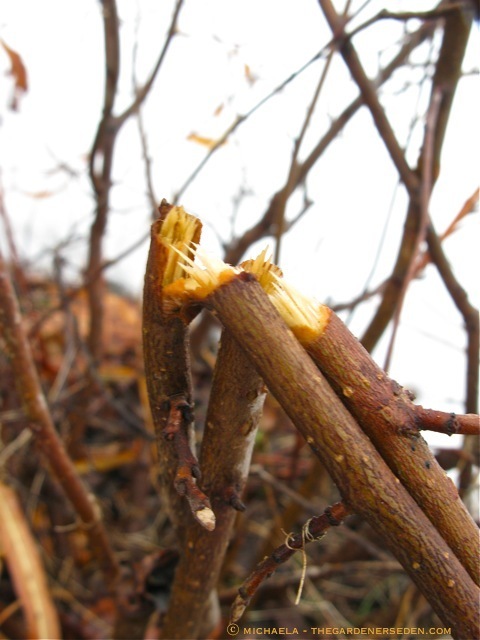 If you have young trees and shrubs with tender bark in your garden, protecting those valuable plants from winter rodent damage is absolutely essential. 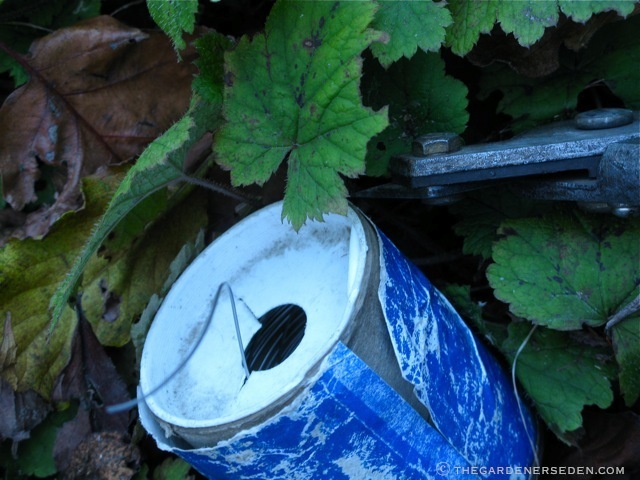 Every November, I pull out my homemade wire tubes and surround the base of my precious plants. 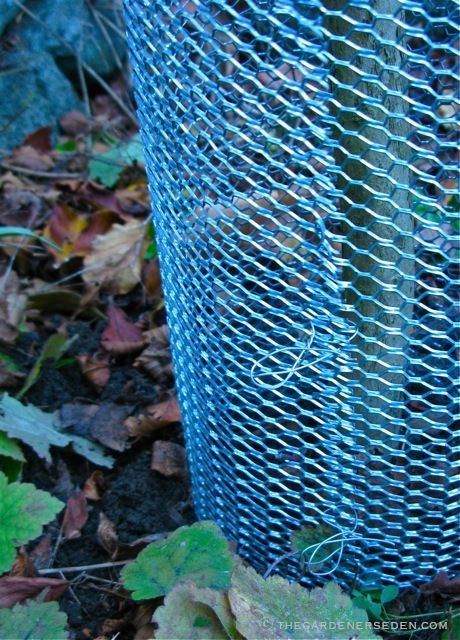 You can buy protective tree tubes at many garden centers, or easily make your own from fine wire mesh sheeting (available at most hardware stores). I had extra metal lath leftover from several construction projects, and that works well too. The important thing is that the spaces between the wires be small enough to prevent the tiniest of mice from slipping into the tube. Make the width of the cylinder about twice the diameter of the tree, and at least 18″ tall (depending on average snow depth, you may want to make your cylinder two feet tall) For extra insurance, I often spray the bark of my trees with hot pepper wax before securing the wire tubes, and I also pour a few inches of sharp gravel around the base of the tube to prevent tunneling. Gently settle the tube around the tree and push slightly into the mulch. Take care not to damage shallow-rooted trees like Japanese maple by pushing wire into the tender roots at the surface. Secure the tube with medium-guage steel wire. Gasp! Put down those Felcos! Use wire cutters to snip that steel! This is what the tube looks like when properly installed around the base of the tree. Once you have made them, you can easily recycle them from year to year. Replace them every November. Larger trees can withstand a bit of mouse gnawing. 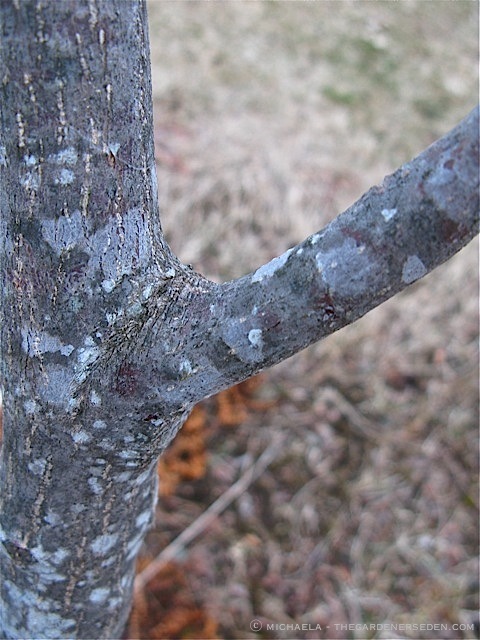 Mature trees, with tough bark, rarely experience gnawing. But, I protect all of my smooth-barked specimen trees. It only takes about a half an hour to do my entire (very large) garden. Before long, the silver-grey tubes in my garden will be buried beneath the snow. 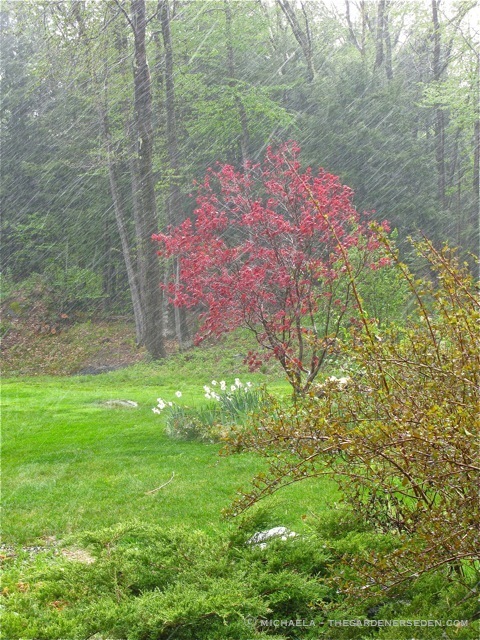 But because I am a garden designer, I am very preoccupied with how the garden looks throughout the seasons. So, I try to plant a ‘screen’ at the base of my young trees to help conceal these seasonal tubes in late autumn. 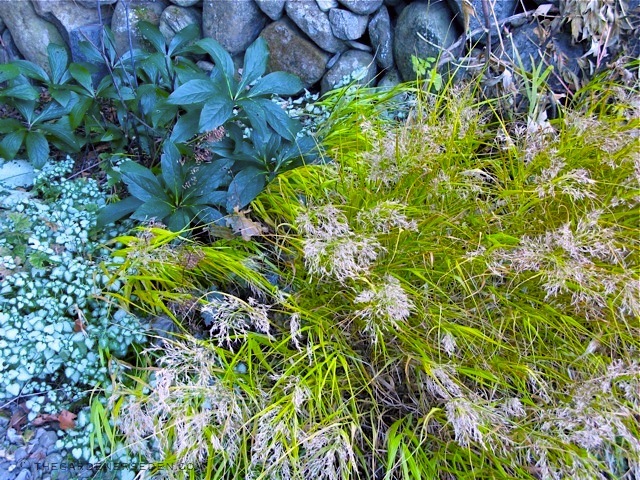 In the photo above, golden Japanese forest grass (Hakonechloa macra ‘Aureola’) and Heuchera ‘Palace Purple’ provide a fine camouflage. And although I still pine for my ‘Butterfly’, I accept that sometimes accidents happen. My garden is important to me, but my family and friends are far more important. I’m happy to report that thanks to the team of medical professionals at the VA Hospital in West Roxbury, MA, my father made a full recovery from the heart surgery that saved his life. And every year on November 11th, as I go out in the morning to faithfully wrap my trees, I am reminded of the many veterans I met during my father’s stay at the Veterans Hospital four years ago. Thank you for your service to our country dad, and thank you to all of your brothers and sisters in arms. We are ever-grateful for your sacrifice, and we salute you. You are currently browsing the Tree Care category at The Gardener's Eden.